2018 Ford F-150 XLT Black ABS brakes, Alloy wheels, Compass, Electronic Stability Control, Illuminated entry, Low tire pressure warning, Remote keyless entry, Traction control. Priced below KBB Fair Purchase Price! RWD EcoBoost 3.5L V6 GTDi DOHC 24V Twin Turbocharged 10-Speed Automatic Odometer is 8044 miles below market average! All of our vehicles go through a multi point used car inspection as well as North Carolina State Inspection to insure that they are truly worthy of purchase to our customers. Our market based pricing strategy allows us to give our customers a transparent and competitive price and eliminates the anxiety that comes with trying to negotiate the best deal. At Doug Henry CDJR, the market has already done the negotiating for you. We have a knowledgeable and eager staff ready to answer all your questions. Our Product Specialists are standing by to show you all of the great features that come along with our best price. Call us today at 252-523-3684, visit us on the web at www.doughenrychryslerdodgejeepram.com, or come by at 4051 W. Vernon ave. on Hwy 70 in Kinston right next to WalMart. Remember, "We're always cheaper"! 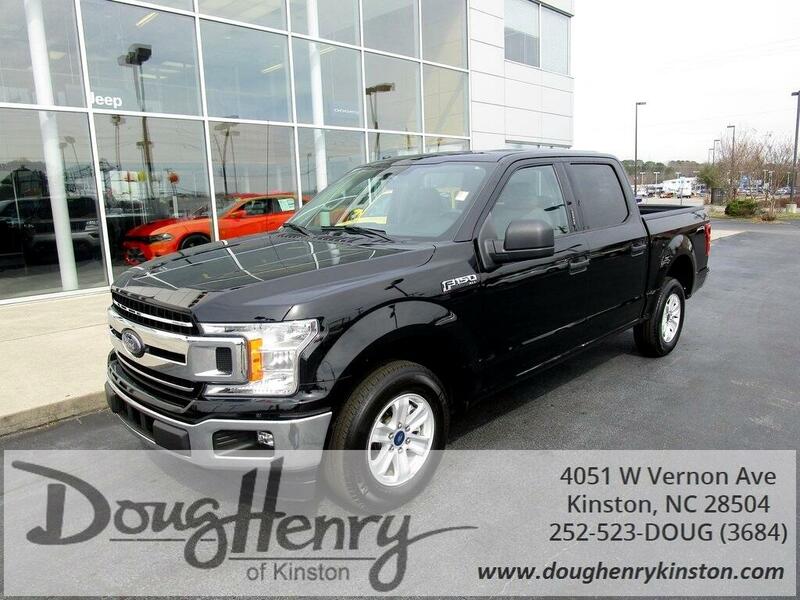 At Doug Henry of Kinston we make sure that your car buying process is simple and straight forward. All of our vehicles go through a multiple point inspection process. Have peace of mind knowing that your new car has had the oil changed and other items completed to pass NC State inspection. If you have credit issues, please call or drop by. We have credit specialists here every day whose only job is to get YOUR LOAN APPROVED. We get LOW beacon credit scores and up approved every day! We also offer the most competitive rates and terms for customers with good credit. We will also be glad to work with your credit union as well! All prices quoted before sales tax, tags, and 638 admin processing fee. Come get YOUR Doug Henry today! Proudly serving: Kinston, Goldsboro, Greenville, New Bern, Richlands, Jacksonville, La Grange, Winterville, Raleigh, and all surrounding areas.